I have a confession - I plan to spend everyday of 2013 celebrating the abundance of my life (or to at least try). No, my family did not win the lotto, nor did we suddenly increase our household income or get a new car or home. In fact, very little has changed in our lives from 2012 to 2013. However, 2013 will be a year of abundance because I am committing to recognizing the abundance in my life and all of the joy and happiness I find in my family and friends on a daily basis. Go to dictionary.com and look up abundance - check out the second definition: overflowing fullness. Celebrating the abundance of my life or living an abundant life is ultimately about recognizing the overflowing fullness of life. The fullness present in joyful laughter from Wild Thing and Caterpillar as they race toward me after my magic words: On Your Mark, Get Set, Go. Or, the fullness present in a driveway half full of mulch/wood chips from a neighbor who has a tree trimming business and was nice enough to provide us with wood chips for our landscaping project for free. 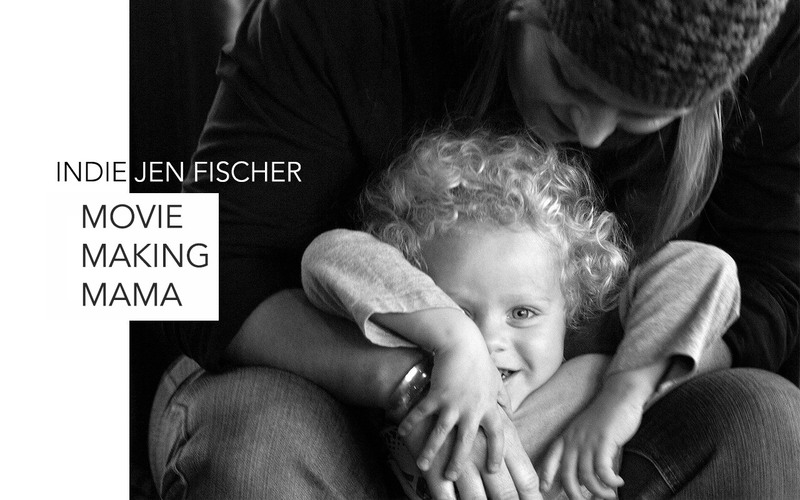 The fullness of sharing not only my life with my husband, but also sharing our professional goals as we struggle together as independent filmmakers and arts educators. (Yes, you can simultaneously have struggles and be living an abundant life). Or, the fullness of sharing my journey to abundance as I write, share and connect with other talented and amazing individuals also ready to embrace the abundance of their lives in this new year. Through Abundant Mamas from Awesomely Awake, I have connected with many other amazing women from around the world who are also interested in being awake to the joy of life that is all around them (us), who are eager to focus on the abundance -- the beautiful overflowing fullness -- of life, as it is. This is the beauty of Abundant Mamas. It reminds me of the gift of now. It helps me appreciate what I have and to be present to the moment at hand, rather than letting all of the I Wants, I Wish, If Onlys dominate my worldview. It reminds me, as one of our most recent emails emphasized, that I am enough, that slowing down and letting go of distractions allows me to do more, be more, see more -- in short, allows me to have a more abundant life. Toward the end of 2012, I focused consistently and heavily on gratitude (with 5 gratitude posts in November - in fact, one of my gratitude posts was a top post for 2012 and was directly influenced by Awesomely Awake). Through an emphasis on gratitude at that time, I came to understand the importance of carrying a gratitude practice into the new year and of expanding it -- this is what I feel Abundant Mamas does for me. It helps me to sustain a constant gratitude practice that I know will transform my life (and the lives of others around me -- read this commentary piece to see just how an emphasis on gratitude, abundance and giving to others can truly be transformative). Will you join me in making 2013 a Year of Abundance? 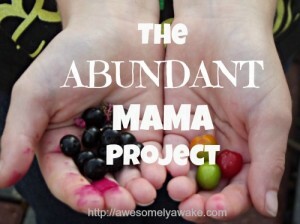 Click here to learn more about The Abundant Mamas project from Awesomely Awake. That is a great focus for 2013 (and the years to come). I will check out your links to read more about it. I love the idea of a year of abundance and of setting out your intentions to make things abundant right off the bat. This is a wonderful outlook to have. I can't wait to join you in the Abundant Mama Project! 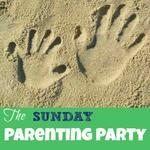 Thanks for linking up with Motivational Monday, hope to see you again tomorrow. What a beautiful way to start the new year. I look forward to checking out the links you shared.